New Life Fellowship International Ministries is built upon the love of our Lord and Savior, Jesus Christ. We together, form the body of Christ working together to bring about His Kingdom. Jesus Christ is the Head of this Church. Our mission is to reach the world for Christ, from here in Central Maryland to the far ends of the earth. As the Body of Christ, we share our joys and hurts with each other. One is not just a member at New Life, but a needed and useful part of a living body. Each is accepted as they are, yet challenged to grow into all God would have you become. 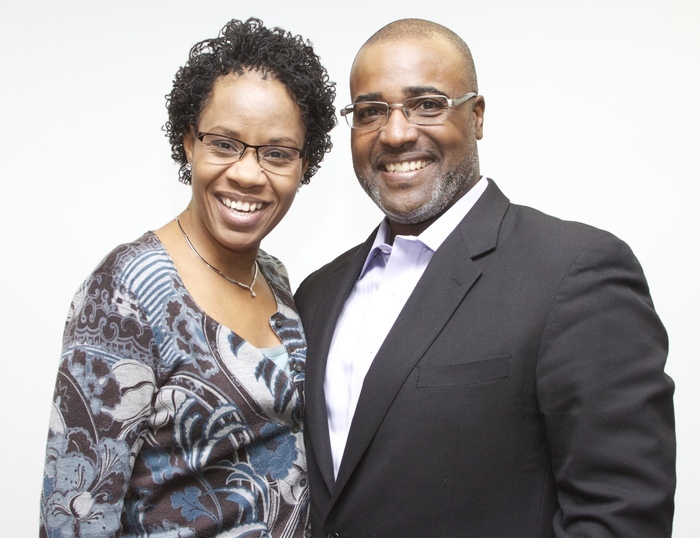 Bishop Abraham Shanklin, Jr. and First Lady Ingrid Shanklin are passionate about serving Christ and leading others to Him. As anointed and gifted teachers, preachers, and leaders, they are both known for their down-to-earth and realistic approach to proclaiming God’s Holy Word. Bishop Shanklin has served tirelessly in ministry for over twenty-five years. He received his education from the Chesapeake Theological and Andersonville Theological Seminaries. He also holds two advanced degrees with a Doctorate in Theology. Bishop Shanklin currently serves as 2nd Assistant to the Presiding Bishop of Global Harvest Covenant Network and President for the United Christian Clergy Alliance. Executive Pastor and First Lady, Ingrid Shanklin, honorably discharged as a decorated sergeant from the United States Air Force in 1991, has served tirelessly with her husband in their efforts to build the ministries of New Life Fellowship. God placed an anointing and a call on her life and in 2006, Pastor Ingrid accepted the call to ministry. She also serves as the Director of Women’s Ministries at New Life. Bishop Abraham’s and Pastor Ingrid’s ability to preach real-time, relevant messages with humor and transparency is a God-given gift. The Lord continues to use them mightily to train Christians to reach their utmost potential in Christ Jesus. We believe that the Scripture of the Old and New Testament are verbally inspired by God and are inerrant in the original writings and that they are the Word of God and the final authority in our faith and in our conduct. We believe in one God, the Creator of all things and man, eternally existing in three Persons in a threefold relationship, that of Father, Son, and holy Spirit. We believe that Jesus Christ was begotten by the Holy Spirit, born of the virgin Mary, and is God incarnate, the God-man. We believe that man was created in the image of God; that he sinned and thereby incurred not only physical death but also the spiritual death which is separation from God; that Adam’s sin is carried over to the whole race of mankind; that all human beings are born with a sinful nature; and that we reach the state of moral responsibility become sinners before God in thought, word, and deed. We believe that the Lord Jesus Christ died for our sins according to the Holy Scripture as a substitutionary sacrifice and that all who believe in Him are freely justified and stand before a God accepted in the character and merit of Jesus Christ. We believe in the bodily resurrection of Jesus Christ and His ascension into Heaven and that in His present glorified body, He is the Head of the church, the Lord of the individual believer, the High Priest over the House of God, and the Advocate in the Family of God.